The documentary film Maryse Condé, une voix singulière, directed by Jérôme Sesquin, will be screened for the first time in the United States on Thursday February 2, 2012, from 6:30–8:00pm at the Earl Hall Auditorium, Room 301, Columbia University in New York. The screening will be presented by scriptwriter Françoise Vergès and followed by a question and answer period with Maryse Condé (in English). This event is free and open to the public. Description: Maryse Condé, une voix singulière (2011; 52 minutes; in French without subtitles), which premiered on French television in December 2011, retraces the life of celebrated author Maryse Condé. 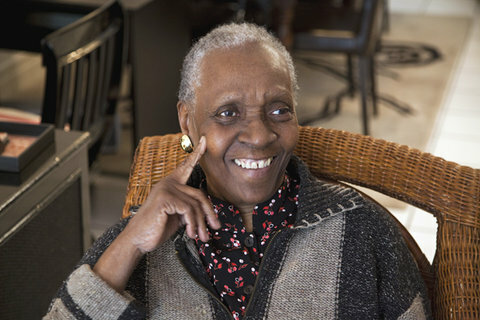 Born in Guadeloupe in 1937, she published over a dozen novels exploring the relationships between African peoples and the Diaspora and led a distinguished academic career in France and the U.S. Maryse Condé retired from Columbia University as Professor Emerita of French in 2005. The film includes interviews conducted in Paris, New York, French Guiana, and the Caribbean, as well as archival footage.